Book your free place via Eventbrite, alongside options to book travel, here. To close their residencies Maryam Monalisa Gharavi, Imran Perretta and Morgan Quaintance have devised an event that shares some of the works and ideas they have been developing at Wysing. 12pm: Gallery and Cafe Abantu open. 1pm: Welcome and event introduction. 1.10pm: Morgan Quaintance will stage a live recording of 'Studio Visit', a one-hour interviews-based radio show broadcast monthly on Resonance 104.4FM. Featuring a panel of invited guests including John Douglas Millar, Shama Khanna, Amanprit Sandhu and Erica Scourti, this special end-of-year episode, titled 'That Was the Year That Was', will survey the highs and lows of art and culture in 2017. Followed by a discussion. 2.30pm: Break with food and drinks available to purchase in the onsite cafe. 3pm: Maryam Monalisa Gharavi will present the work Eva's Face (video installation, 2017) that explores one woman's experience with facial paralysis. The work exists in a larger constellation of Gharavi's recent film works concerning the instrumentalisation of the face in ways of knowing, corporeal encounters between self and other, and ultimately, the limits and freedoms of embodied personhood. This will be followed by a discussion. 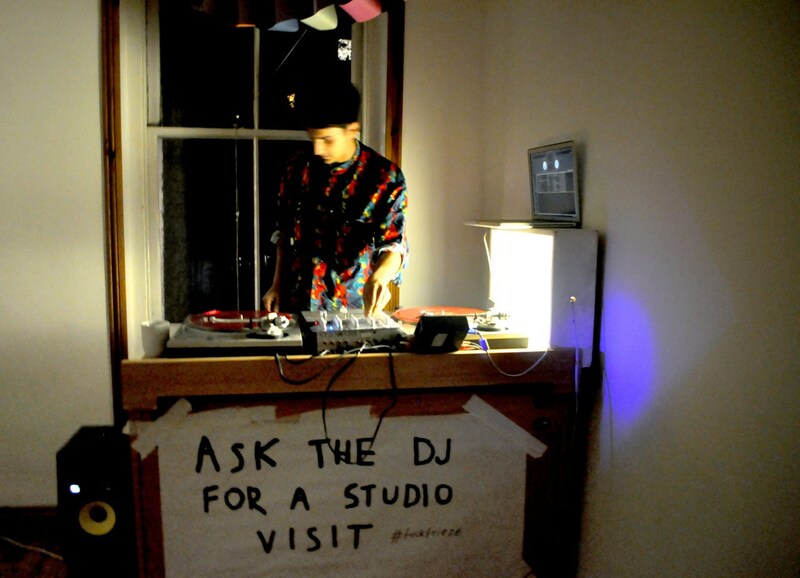 4.30pm: Imran Perretta will perform a live DJ set, surveying forms of experimental UK bass music including new tracks written during his residency period at Wysing. 5.30pm: Drinks available to purchase in reception. The exhibition Andromedan Sad Girl will be open throughout the event, 12-6pm. Cafe Abantu is open from 10am to 4pm. Shama Khanna is an independent curator, writer and educator based in London. Recent collaborations include: warehouse.industries (Berlin & London); 'Shades of Opacity' at Jerwood Visual arts (London); texts for Art Monthly, LUX and Aorist journal which she co-edits with 7 other writers. John Douglas Millar is a writer based in London. His first book Brutalist Readings: Essays on Literature was published by Sternberg Press (Berlin) in 2016. Amanprit Sandhu is an independent curator and writer based in London. She has most recently worked on projects for Art on the Underground and Art360, DACS Foundation. She is co-founder of the curatorial collective DAM Projects. Erica Scourti was born in Athens, Greece and is now based in London and Athens. Her work across video, text and performance explores personal experience translated through contemporary interfaces and institutions.